The Urban Harvest Series (UHS) is a set artifacts and furniture that integrate nature’s closed cycles and cultivation into our own daily routines. Created by Design Academy of Eindhoven’s Sebastiaan Sennema, the unit allows people to grow, store, prepare, and compost organic waste, actively engaging them in a holistic and fundamental practice. 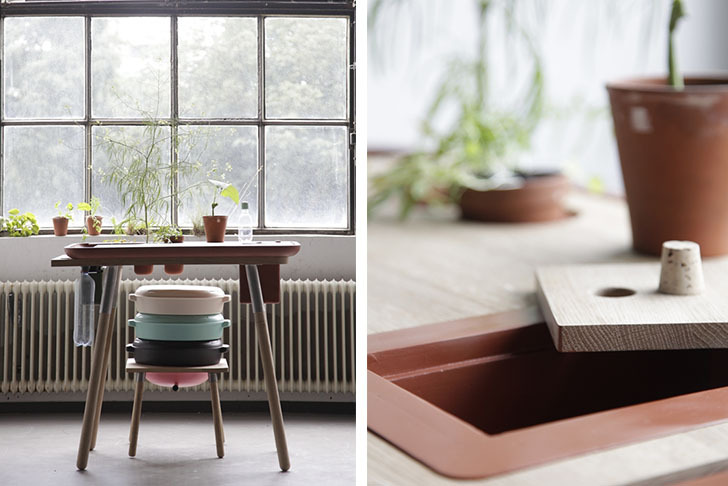 UHS consists of an oak table (with adjustable leg height) and a terracotta base with compartments for potting and storing harvested food without the use of electricity. 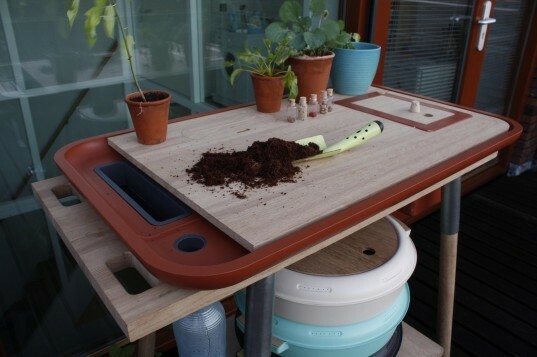 Nestled under the table is a triple-layer, colorful compost bin designed to address all the different stages of decomposition. The design can be combined with Sennema’s other graduation project recently featured here. The Urban Harvest Series (UHS) is a set artifacts and furniture that integrate nature's closed cycles and cultivation into our own daily routines. Created by Design Academy of Eindhoven’s Sebastiaan Sennema, the unit allows people to grow, store, prepare, and compost organic waste, actively engaging them in a holistic and fundamental practice.